Making beekeeping, often, if not always, you have to deal with erroneous views of others associated with the bees, some of which have become resistant to the myths. 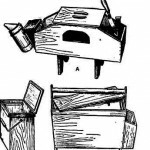 Beekeeping specialized literature and periodicals are reluctant to cover this topic, and continues biased, one-sided and distorted show of the role and importance of beekeeping in human society from the point of view of the public opinion, dominanting at a given historical moment, but frequently changing. Their attitude is, basically – it is a position of self-admiration, self-praise and self-aggrandizement. Reading, in particular, the magazines about Beekeeping, you can create a false impression that all the people around us are touched directly on beekeeping and beekeepers, respect, appreciate and love their labour, happy with bees, and regularly treated with bees and propolis, constantly eat honey. In reality, things are quite different. 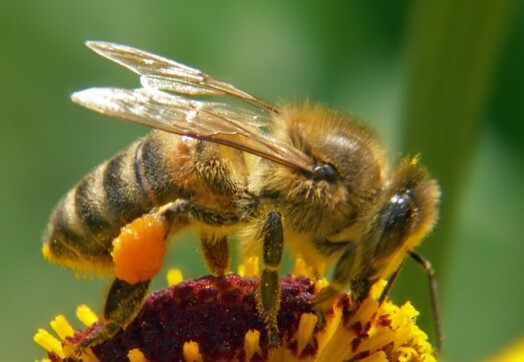 At all times, and now there are many people who hate bees and all that is directly or indirectly connected with bees, a negative attitude to beekeeping was always and there is now. For a full understanding of the reality around in our common interests, for the sake of fairness and justice apparently, we analyze some “negative”, look at the “other shore”. We could not do, of course, philological and ethnographic researches, and do not pay attention to all these myths, but you have to make sure and say bitterly that misconceptions and ridiculous allegations concerning beekeeping rather tenacious, stand, not yield “rust” through time, do not “resolve”, but rather, their number increases with time, they “upgraded” the absurdity of their increases and they continue to successfully propagate and live their own life in the outlook of all layers, even among educated population. Should also be noted that the analyzed myths are not as harmless as it may seem at first sight, and are not exclusively theoretical, abstract from the practice of any beekeeper categories. At a certain stage of its development and spread the resistant false opinions, myths, like viruses, distribute in the public mind, activating and potentiating similar negative perceptions themselves, can lead to practical consequences: confusion, distrust, passive resistance, and sometimes active resistance to others involved in beekeeping. The “myth” – the literal translation from the Greek for “word”, “legend”, “tradition”. Myths, as you know, a particular form of oral traditions, folklore, and differ in content and form of settlement in different regions of the human population and are passed from generation to generation, mainly through a variety of rituals, do not fix in the form of the written word. But people always do their myths in their own image and reflect themselves in myths, as in the mirror. 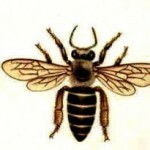 However, as I see it, every beekeeper should at least know “bee” myths, conventionally categorized according to the degree of destructiveness, carefully analyze and, if possible, gradually, carefully and convincingly confront them, seeking with the best possible quality and efficiency to neutralize their “subversive” action among public opinion. Let us look at and analyze some of the most vibrant and most often occurs myths, many of which, I’m sure you’ve heard in your practice, met in your life. 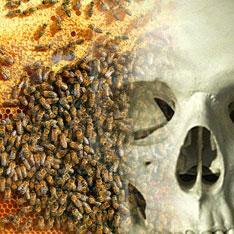 And instead of them, we will give you some interesting and real facts, cool facts about bees and beekeeping. First of all, it should be noted that people come to beekeeping in various ways. For some, it is an internal urge associated with unconscious childhood memories. For others – the conscious, deliberate and rational choice in later years of life. But in any case, in the following for each the understanding that the keeping and breeding of bees is heavy, laborious, time-consuming task comes with time. However, whatever the internal imperatives do not lead a person to engage in beekeeping, not excluding the selfish motives of greed or perhaps personal gain, he still will have to take care of their bees, treat them as possible cherish, to promote their successful life. If he wait on his hobby material effect and moral and emotional satisfaction. You cannot just use bees, like other insects. If you, for example, take more honey than you can in the fall, they simply and quietly die in the winter. But in the end, it doesn’t matter who keeps bees: a romantic or rationalist, idealist or moneymaker, neighbors or others like this particular individual or not, he brings only benefits to the natural environment, where, as you know, no moral and ethical categories. After all, bees are the main pollinators of flowering plants in the surrounding nature, including most types of fruits and vegetables. The ordinary man in the street does not yet understand that his harvest from the garden, in addition to all other conditions, depends on bees. And he does not know that in many developed countries, it turns out, beekeepers get their main income not from the sale of the resulting honey that we take for granted, but he is paid for contracts of pollination of gardens and fields. 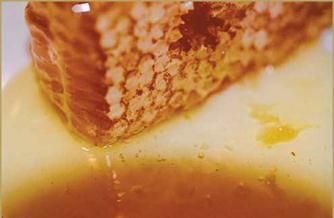 On science-based technology of modern beekeeping management, we can use sugar syrup for feeding the bees. But only in well-defined, specific cases, at certain times of seasonal life of bees and with a purpose. For example, in the case of bad year in order to replenish stocks for the winter, if necessary the use of drugs through feeding and in the case of spring development of bee colonies. In all other cases, especially in the period when the bees collect flower nectar, the feeding the bees sugar syrup is not justified by anything and is likely only to increase the number of benefits, “honey”. To feed bees with sugar during a harvest or not – it is a matter of moral choice of each individual beekeeper. It is only necessary to remember that by using different physical, chemical and biochemical and sometimes sensory methods in the laboratory, such actions can be detected, identified and clearly will only harm the image of the beekeeper. We know a beekeeper who divides hives in the apiary into two conditional halves: one hives are for himself, and the other hives, which he annually feeds hard all summer with sugar, are only for sale. 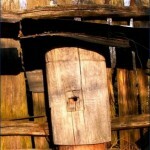 But he, in contrast to his neighbors – the beekeepers who is in huge trouble in realizing his honey. This is quite common and almost harmless myth-assumption. 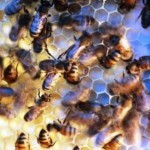 Although beekeeping is formally one of the sectors of livestock, bees, if you can say so, are not quite “tame” insects. Basically there is no difference between the various types of bees, wild and nomadic dwelling, for example, in the forests and the bees contained in our apiaries. Bees are insects, and in spite of our tricks, diligence, attention to them, care and treatment, they retain the instinct nately. Beekeeper creates new bee families, regulates the number of families in the apiary and he is, one might say, the most important being in their lives. However bees live on their own, do not have anything to anyone and do need nothing. And they sting their owners just like all the other, according to the situation. Here the whole point is, who gets these stings. Beekeeper, by definition, gets stings easily, especially is not upset and quickly forgets about it. Others can also create persistent view, if the beekeeper does not run on his apiary with wild cries and not wildly waving his arms after each sting, then it means that his bees do not sting, know him. If so much honey we have, the ground would long ago have flooded with honey. Maybe in some kind of blessed lands, if they really exist they have the jar, and even two from each hive, but that we can only dream about it. 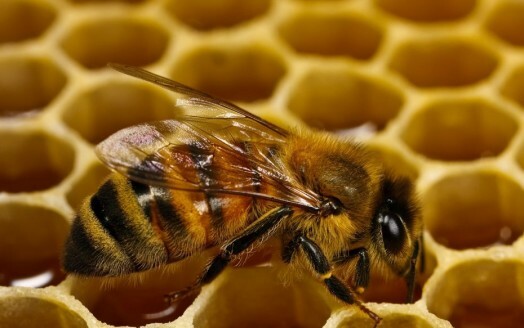 For example, if you have, in the area of “risk-bee”, in the region of atypical honey harvest, from a family of bees in an average of 10 to 15 kg of marketable honey, then this season is thought to be particularly successful. But you must not forget that hive in the apiary does not mean the presence of uniquely valuable, strong and healthy family of bees within it. There may be the newly established strains, resettlement nucleus for a few frames, sick, weak family. Finally, empty, abandoned by planted swarm hive can stand in the apiary.From the point of view of any jealous neighbor a hive in the apiary potentially gives guaranteed jar of honey. In fact propolis – is a resinous product collected by bees in the natural environment from buds and bark of deciduous and coniferous trees, as well as shrubs and grasses. Its name is, as suggested, from the Latin and Greek terms “pro” – from the front, and “polis” – the city, the castle, because bees use it often to narrow the hive, as a pass into the hive – “fortress“. 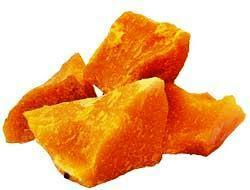 Propolis for treatment is used in folk medicine since ancient times. The modern scientific medicine has shown that propolis significantly has antimicrobial, anti-inflammatory, antiviral, biostimulation, and regenerating action. So it in a complex has such unique properties as does not have any known to modern medicine.Therefore preparations of propolis are justifiably and successfully used in different fields of modern medicine: surgery, dermatology, pediatrics, dentistry and internal medicine. What a deep unwavering belief of people in the magical power and fantastic features of alcoholic beverages! Certainly, much can be done for the vodka, especially in rural areas, but to be able to “compel the bees to rob the honey from the neighbors” – is absolute rubbish. However, there were several scandals involving bee-lovers, when they accused each other of “alcohol incitement” of bees to plunder honey out of the hives. Indeed, if you really try and be patient bees can be artificially addicted to alcohol. Starting with a 0.1% concentration of giving vodka liquid syrup, gradually increasing the dose and frequency of “soldering”, you can make addicted bees. But, unfortunately, they, like all of their two-legged brothers and sisters, stop doing “socially useful” work. Gradually links are being broken in the complex relationship of the bee colony. Addicted to alcohol bees stops feeding brood, carrying pollen, even flying out of the hive. Instead of all this, they crawl along the side and front walls of the hive, they sit in groups around hive, make unwarranted conflict with each other. If they fly from the hive, so only to find a possible source of alcohol in nature. They are attracted by the smell of any fermentation of fruit, jam, etc. At the same time, they may be subject to theft of bees, the effects of which are well known to any beekeeper. Because of the subsequent mass death of bees this family will not have strength or capacity to organize the defense and resistance. Even if they escape the sad fate of being plundered and murdered, this “alcoholic episode” does not pass without a trace. They can not be full and healthy family, they are not particularly interested in honey flow, and you have to either dispel or destroy it, or to change the queen, that essentially means the creation of a new family. Therefore, the myth of the possibility of soldering bees with spirits and attempt to make benefit for yorself is totally baseless. As for the effects of bee thefts, it should be noted that if it is still sometimes seen, it is only the fault of the beekeeper, who did not take preventative measures and cautions. 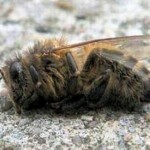 Bee thieves – are not necessarily “evil” bees from neighboring hives. Often bees from the neighboring, next placed hives steal and rob honey. Bees are, of course, the social insects, but there cannot be a community within the same apiary. Therefore, for them, any bees from any hive are enemies. This is a very common myth among far distant from the bees people. In fact beekeeping – a very time-consuming and restless task. Besides beekeeping is industry, entirely dependent on the weather conditions, with no clear guarantee of harvest and lean years may be repeated for several years. Although beekeeping is seasonal, but you engage directly or indirectly by the bees for almost year-round. Preparation of equipment, carpentry work on making frameworks, hives, cores, control over wintering bees, honeycombs training, purchase of drugs – it is a small part of the work done in the winter, unobtrusive and invisible to others. 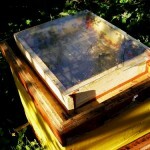 Active beekeeping starts after standing of hives in spring and lasts all summer. Control of spring growth of families, organisation of brood, swarming into the thick heat, later – collecting honey frames and pumping of honey, storage, fight against wax moths and mice, ants, wasps, and many other seemingly small and insignificant, but very important and decisive hassles. Therefore, the most enjoyable in beekeeping is the pouring of recovered and having all the smells and fragrants of summer and shimmering gold honey from the extractor to a jar. Envious man believes that beekeeping – it’s just a series of transfusions of honey in jars with a break for the winter. Thus, there are so many diverse myths, with varying degrees of naivety, stupidity, erroneous and destructive around the bee and about any other human activity. Consequently, the enemies of bees exist not only objectively real in the surrounding wildlife as the most different diseases, pests and enemies, but virtually, in cyberspace, in the form of distorted versions of public opinion. Based on this, our common goal should be, among other things, to dispel these myths, through sensitization and education of the population, creating a positive image of the beekeeper in the public mind, keeping around him the halo of honesty, industry, necessity in the surrounding wildlife and in human society, with the ultimate aim of further development, dissemination, and prosperity of the beekeeping! Yeah, thats cool. thanks brother bee.